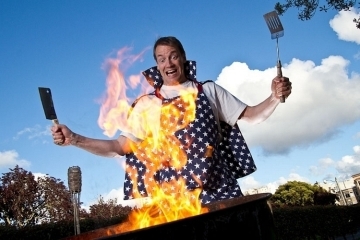 Charcoal grills cook better than gas grills, at least that’s what many aficionados say. Problem is, charcoal grills are also messier than their gas counterparts, making them more work-intensive and time-consuming. 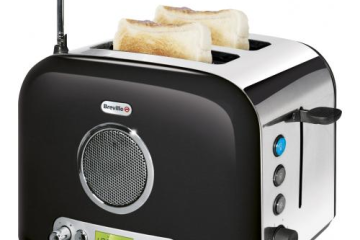 The Homping Grill wants to bridge that gap in convenience. 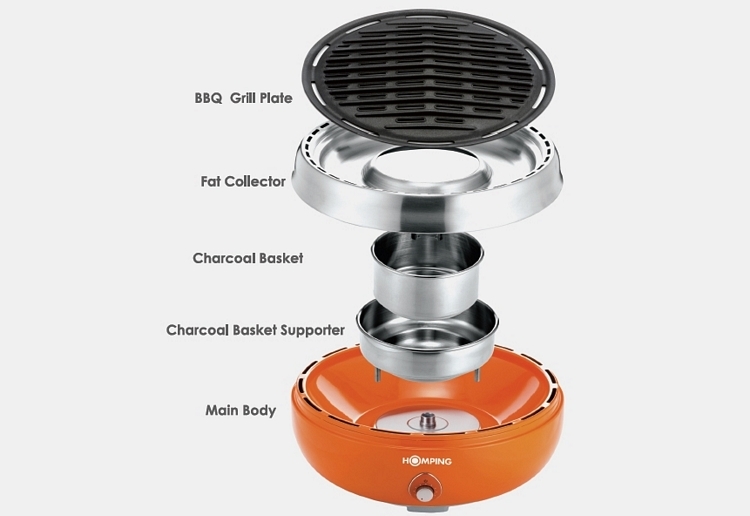 A portable charcoal grill, it measures just 14 x 7 inches (diameter x height) and weighs 8.4 pounds, making it easy to move around the house, as well as bring to tailgates, picnics, and outings. Unlike traditional charcoal grills, though, it’s designed to use less charcoal and produce very little smoke during cooking, creating less mess and less extra work. 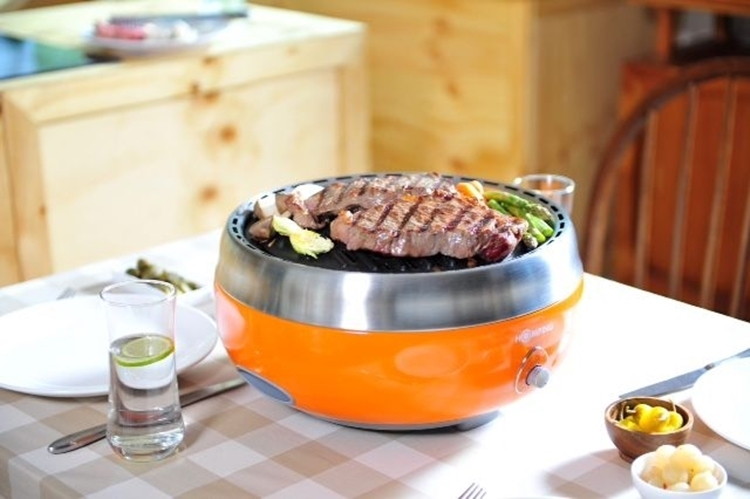 The Homping Grill has a round-shaped cooking area, with enough room to cook around two to three steaks (depending on size, of course) and half a dozen hotdogs (less, if it’s those big ones) in one go. 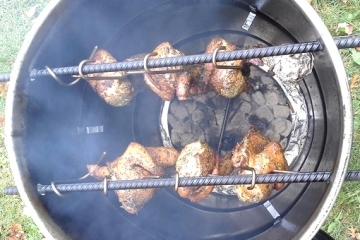 It needs just eight pieces of charcoal to provide an entire hour of cooking, although you can throw in up to 12 briquettes in the integrated basket. Rather than use lighter fluid for firing up, it comes with a special ignition gel that gets ignited in a dish under the basket, making it easier to light up than traditional charcoal grills. A built-in fan powered by four AA batteries helps get the fire going in under four minutes, apart from improving the grill’s heating efficiency by adding air to the burning charcoal. You can even increase or decrease heat by simply adjusting the speed of the fan. A curved grate forces drippings away from the fire, going straight into a stainless steel drip pan that surrounds the charcoal basket. 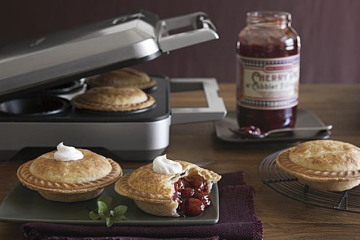 Not only does it produce so little smoke it can be used indoors, the shell also stays cool to the touch the entire time, with the company claiming you can move the grill in the middle of cooking. 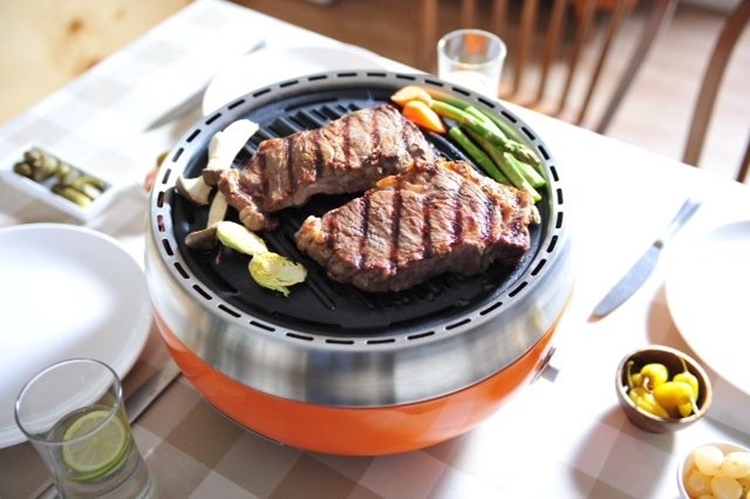 Available now, the Homping Grill is priced at $199. 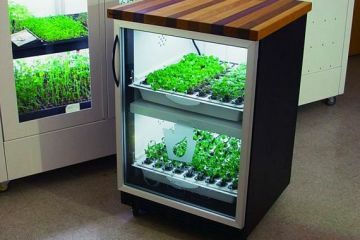 This is a really cool indoor outdoor grill. But even after watching the demo video, I still cant wrap my brain around how it can be a smokeless charcoal grill – mainly because I can’t understand charcoal not smoking up the place. That’s kind of weird, and cool.